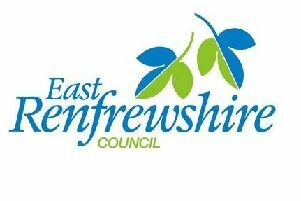 East Renfrewshire schools have achieved a clean sweep of awards at two prestigious music events. First the schools’ ensembles, orchestras, choirs and bands attended the Glasgow Music Festival, held in the Glasgow Royal Concert Hall. Both the Junior and Senior String Orchestras performed, as well as the Fun-string Orchestra, Intermediate Choir, and both Junior and Senior Bands. With more than 300 pupils from East Renfrewshire schools’ performing, with representatives from Primary 5 right through to 6th Year, each group had outstanding success across their event to win their category class. The Festival covers a wide range of music including classical, folk, jazz, rock and traditional Scottish music, and throughout the event, complex bands, orchestras, choirs, ensembles and hundreds of soloists perform to be assessed by a team of leading professional adjudicators. Following hot on the heels of these successes, the East Renfrewshire Schools’ Senior Concert Band went on to perform in the finals of the Scottish Concert Band Festival which was held in Perth Concert Hall. With their varied programme which was congratulated upon by the adjudicators coupled with such a high level of performance, this earned the Senior Concert Band a Gold Plus Award. 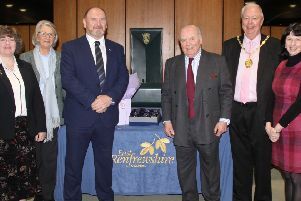 Councillor Paul O’Kane, convener for Education and Equalities, said: “I am delighted at the success that the ensembles, bands, orchestras and choirs have achieved at the recent Glasgow Music Festival and Scottish Concert Band Festival. Junior String Orchestra (P7 and S1 pupils); won the Orchestras A Class – First Class Certificate with a mark of 86/100. Senior String Orchestra (S3 - S6 pupils with one S2 pupil); won the Orchestras Open Class – First Class Certificate with a mark of 87/100 and were awarded The Dorothy Gunnee certificate. Fun-string Orchestra (majority P5 and P6 pupils with 2/3 P7 pupils); won the Orchestras B Class – First Class Certificate with a mark of 85/100. Junior Concert Band (P7 - S2 pupils); won the Concert Band A Class – First Class Certificate with a mark of 85/100. Senior Concert Band (S1 - S6 pupils); were awarded a Gold Pus Award at Scottish Concert Band Festival.